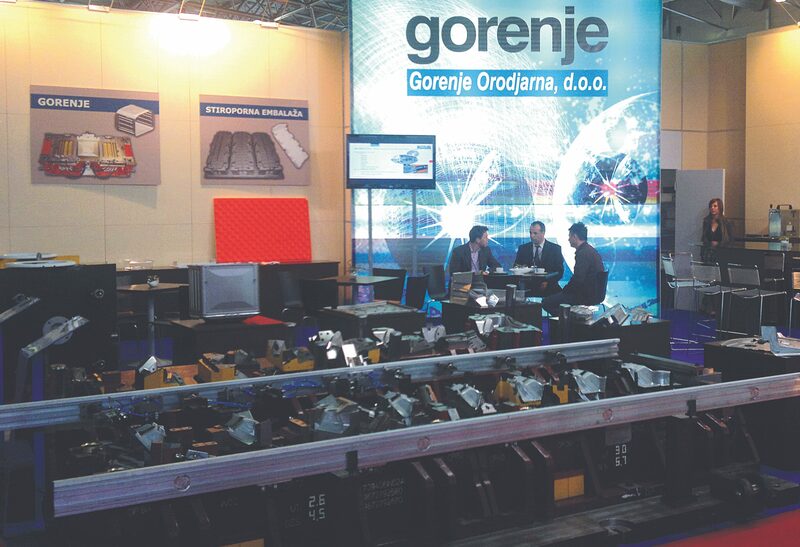 From April 12th to 15th, Celje is hosting the 11th Forma Tool where Gorenje Orodjarna (toolmaking plant) won the highest honours for their two tools. Gold Medal was awarded for the transfer metal shaping tool, and Silver Medal for washing machine door frame injection tool. Gorenje Orodjarna exhibition area is located in Hall K, No. 10. 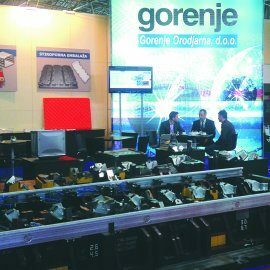 Gorenje Orodjarna has been traditionally present at the Forma Tool, Slovenia's largest toolmaking fair, held biannually, from the event's very beginnings; this time, Gorenje is presenting two tools. Transfer metal shaping tool manufactured for the customer Peugeot was awarded the highest, Golden Medal. Washing machine door frame injection tool for the customer Gorenje won the second highest honour, the Silver Medal. A panel of experts awarded the medals based on three criteria: technical-technological aspect (relation to the current state of the art), business performance aspect (pricing and cost of production), and environmental-energy aspect (care for the environment and low power consumption in the manufacturing process). In addition to the award-winning tools, the products exhibited at the show also included a new video surveillance system for manufacturing processes, developed at the Measurement Systems Department. Mr. Blaž Nardin, Managing Director of Gorenje Orodjarna: "We have been present at the Forma Tool tradeshow since its very beginnings. Our tools have always been appreciated for their excellence and awarded with the highest medals of which we are very proud." The Gold Medal-winning tool, commissioned by our customer Peugeot, allows manufacturing a complex car chassis element from sheet metal with improved solidity, which considerably reduces the weight of the chassis. In designing the tool, we used state-of-the-art approaches of computer-aided engineering; in manufacturing, the tools active surfaces were treated with a new finish. The second award-winning technologically perfected tool for manufacturing external visible parts in home appliances, which require very high quality, is a result of our in-house development and international R&D projects in which Gorenje Orodjarna is taking place. This stepped tool features temperature sensors with a feedback loop to control the quality of manufacturing; it also includes a hot channel dosage system and an efficient cooling system. All this provides high productivity and reliability of operation.